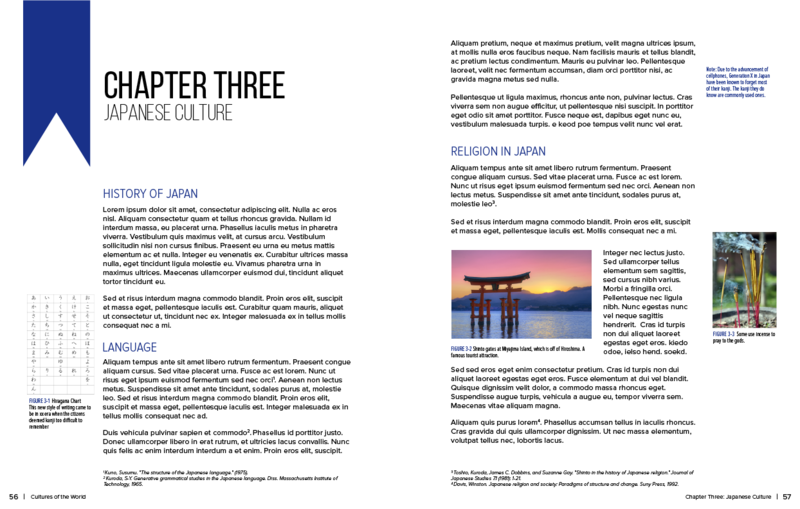 A sample page for a chapter within a fake world culture textbook. This was an assignment for my Art 235: Digital Media and Design class. The objective of this project was to familiarize with the text options, such as padding, kerning, line height, etc, in Adobe Illustrator.